Smoke is, in essence, energy that does not burn completely during a fire. Combustion occurs, giving off heat, light, carbon dioxide, and water vapor. Smoke is made visible by the presence of small particles of carbon and other materials. It contains gases that form tiny particles known as PM10 (which means “Particulate Matter less than 10 microns in diameter”). The particles include small droplets of wood tars, gases, soot and ash. We all know a house fire can damage art, especially paintings, but smoke from cigarettes, cigars and pipes, and even from the livingroom fireplace, can damage art as well. The Environmental Protection Agency has found smoke from wood to contain many hazardous materials including carbon monoxide, acids, methane, formaldehyde, benzene, toluene, oxides of nitrogen and sulfur dioxide. Most house fires produce smoke that comes from not only burning wood, but many other materials, including fabrics, synthetics and plastics, rubber, paper and a wide range of construction materials. We know that smoke is extremely dangerous to humans, but its acidic nature can also cause extensive and often irreversible damage to collections of art and antiques. Tar and nicotine from cigarette smoke will also accumulate on a paintings surface, causing discoloration and damage that can obscure the image. Although most grime can be carefully removed, soot and smoke damage may permanently alter the tone of the painting, especially if the support is unprimed or the painting is unvarnished. The “safe” cleaning of a painting can sometimes be complex. 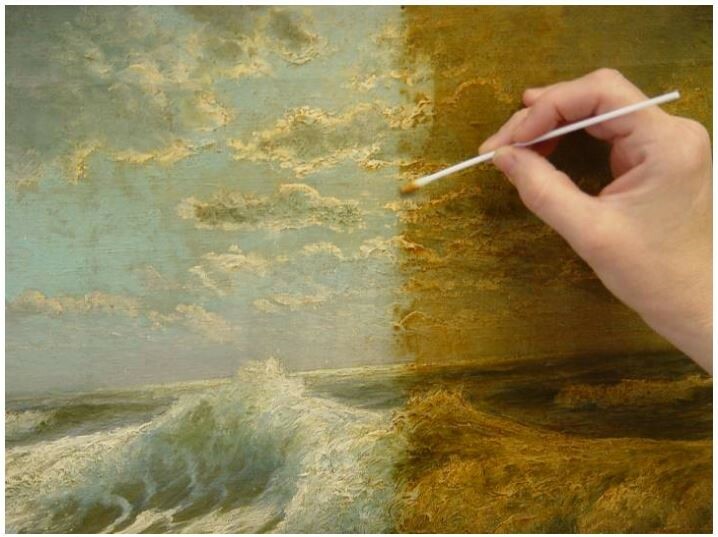 It usually requires the knowledge, experience and delicate hand of a trained art conservator to safely remove the smoke, soot, grime and discolored varnish without loss or damage of the original art. 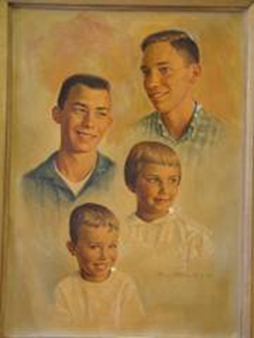 Paintings can change as they age and accumulate dirt and grime. Traditional picture varnish made of natural resins like dammar and mastic have a tendency to yellow and discolor with age. Darkened varnish is not necessarily harmful to the painting, but it can disguise the image. Cleaning and varnish removal are procedures that require a thorough understanding of art, art history, chemistry and science. One must be able to identify the materials included in each layer of a painting’s structure and how they may be affected by the application of cleaning agents and solvents. Damage from improper cleaning methods and materials can occur and may not be immediately apparent. For example, improper cleaning can weaken the bond between the paint, ground and support layers, resulting in paint loss over time. Some cleaning solutions may swell and then shrink the canvas fibers. This can cause the eventual cracking or flaking of the paint and ground layers. Paintings are typically cleaned in stages. Preliminary tests are carried out by a painting conservator to determine the effectiveness of cleaning agents and the solubility of the varnish and paint layers. One material may be used to effectively remove surface dirt and grime and another to reduce or reverse the discolored varnish. Cleaning agents may also react to different colors and pigments used throughout the painting. Some colors and layers are far more sensitive than others. 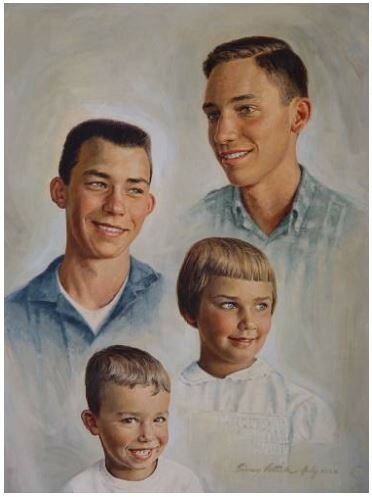 There are paintings that simply cannot or should not be cleaned, because the image layer is so sensitive that no cleaning agent will effectively remove the discoloration without causing damage. The same painting after restoration. • Do not hang paintings over a regularly used fireplace.